At Spurgeon Law, we understand that after sustaining a personal injury you probably have a lot of questions. 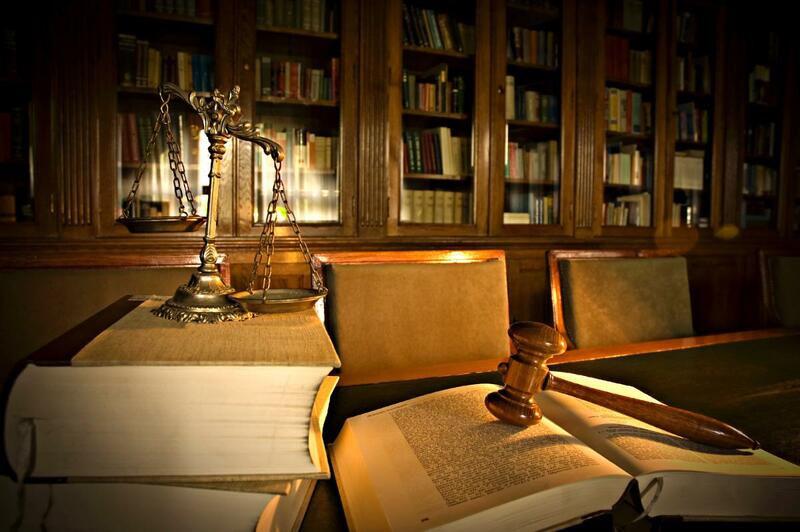 Our firm is here to help you navigate the legal system no matter what type of personal injury case is plaguing you. Our aggressive representation and legal expertise combines to ensure each one of our clients that they are getting the kind of care they need while going through a personal injury claim. After suffering injuries, we know logistics is the last thing on your mind. Our firm exists to take care of the headache for you, and provide you with the information you need to navigate your claim on your behalf. You can rest assured knowing that you're in good hands, and that our attorneys are working tirelessly to make sure that you get the compensation you deserve. The validity of a personal injury claim depends on a number of factors. Negligence will have to be proven in most cases and liability determined. We will gladly listen to the details surrounding your injury and offer you a straight, no-nonsense answer. What can I do if I lose wages at work? Injuries caused by motor vehicle accidents will often cause the injured party to miss work and lose wages. If this happens to you, you can seek compensation through settlement with an insurance company or pursue legal action. 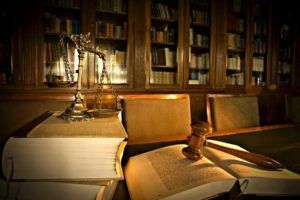 Punitive damages are sometimes applied above and beyond restitution or traditional compensation to help deter the defendant or others from similar future transgressions. Punitive damages are often reserved for cases where a defendant’s behavior was particularly reckless. Negligence is the failure of one to conduct himself or herself in a manner that the law requires in a given situation. Negligence applies most often in situations where someone is injured and is therefore quite relevant in motor vehicle accidents. If you have been injured and can prove negligence on the part of the defendant, you can be compensated. First and foremost, remain at the scene of the accident no matter what. Call any appropriate emergency services. If possible, record any details you can, as accurately as you can and with multiple media (camera, video, etc.). After you do that, call an experienced, reliable attorney. Visit our auto accident section for more information. What is the difference between personal injury and catastrophic injury? A catastrophic injury is a type of personal injury that is particularly severe and usually results in permanent physical damage or disability. A personal injury is one resulting in the physical and sometimes emotional injury of another person. In both cases, it is equally important that the injury occurred due to the negligence of another person or entity.Truck accidents and industrial accidents are just two examples of situations that often result in catastrophic injuries. What should I do if I am asked to issue a statement? If the police ask you to make a statement, you should comply. There is really no reason not to complete an accident report or give a statement to an officer following an event resulting in a personal injury. But if an insurance company asks you for a statement, you should seek counsel from an attorney first. Pain and suffering is a term describing the physical harm as well as the grief or other emotional stress imposed on someone because of a traumatic event. Pain and suffering are common factors in personal injury cases. What is the Statute of Limitations/Prescription on Louisiana personal injury cases? Louisiana uses the word "Prescription" instead of "Statute of Limitations" when discussing the time period in which a person must bring a valid claim for an injury. In Louisiana, an injured person must file a lawsuit within one year of the date of injury. However, some exceptions do exist. Contact us today to learn more. What should I do if I’m in an accident with an 18-wheeler? At a basic level, you can treat an accident with a big rig the same way you would a collision with another, smaller passenger vehicle. You would still remain at the scene, call the police, document as many details as you can as accurately as possible and exchange information with the other driver. When collecting information, you will want to record the DOT number from the driver’s door. You will definitely want to hire an attorney. Trucking companies often devote extensive resources to their legal defense teams. There is no one answer to this question. The injured individual is more likely to benefit most financially if he or she can wait patiently. It all depends on your injury, recovery time and whether liability is contested. What are some of the common causes of semi accidents? Wet or inclement conditions, blown tires, driver fatigue and vehicles in the truck’s blind spot are all causes for 18-wheeler accidents. What kind of damages are paid in most personal injury accidents? Most types of injuries allow compensation that includes financial damages, such as lost wages, medical expenses or other expenses. Property damages, such as the loss of a vehicle in an auto or motorcycle accident, are also common. In some cases, punitive damages may be awarded. 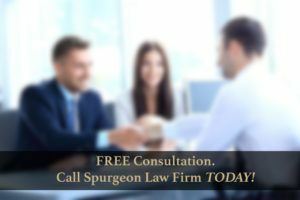 We know that this isn't a comprehensive list by any means, so the only way that you can see what Spurgeon Law Firm can do for you is to contact us. Someone is always available to discuss your situation 24 hours a day, 7 days a week. You literally have nothing to lose by contacting our firm because we offer free consultations. Our services are affordable because we operate on a contingency basis, and don't charge you unless we obtain a settlement on your behalf. Every personal injury case is complex, so you need a legal team that has a track-record of obtaining successful outcomes for their clients with a wide variety of claims.